Every Sunday, Assemblywoman Wendy Carrillo drives to her parents’ home in Boyle Heights to make them coffee and visit. Like the café con leche she learned to make for them when she was 8 years old, this special day is steeped in a tradition of family. It was during one of those visits earlier this year — shortly after Carrillo began her first year as the new assemblywoman representing the 51st Assembly District — that her mother reminded her to stay focused on families. “My mom said that with this new responsibility, I have to remember that there are going to be people who are very loud, but that I have to be conscious of the people that I don’t hear from,” Carrillo recalled. “The people who have no political power. That don’t know how to reach their assembly member. That don’t know that there are levels of government that are working to better improve our communities. The story of Carrillo’s own family began while civil war ravaged El Salvador, prompting her mother to bring Carrillo to the Eastside of Los Angeles as a young child. Carrillo’s family grew as she went from an only child to the oldest of five sisters. She became a citizen in her early 20s and went on to graduate from Cal State L.A. and earn a master’s degree at USC. 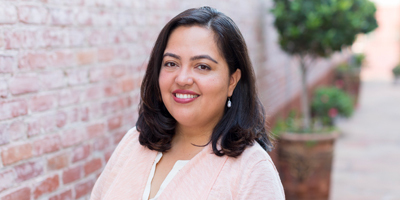 Prior to being voted in to her first political office in the California State Assembly during a special election in November 2017, Carrillo spent 12 years as a broadcast journalist covering human rights, global conflict and U.S. politics, and later served as a communications manager for a Service Employees International Union affiliate. Representing nearly 500,000 residents in L.A. and East L.A. — including some of the most historic and iconic communities in the city — Carrillo has been an advocate for education, immigration reform, environmental justice, health care for all, job creation and innovation. In the State Assembly she serves on the Appropriations; Rules; Public Safety; Health; and Water, Parks and Wildlife committees. In her first year at the state capitol, Carrillo has taken on an early role as a champion for young children and their families. She coauthored legislation sponsored by First 5 LA to increase early identification and screening for developmental delays, garnered funding for parks and worked to clean up pollution affecting families in L.A. Closer to home, Carrillo has been joined by her adorable dog, Lulu, at special events giving away more than 500 trees to community residents to build a green canopy in her district. Carrillo spoke with First 5 LA about her own early years in L.A., her mother’s influence and her priorities for young children and families in her district. Q. Let’s talk about your early years. Who and what influenced you? A. I’m the oldest of five daughters and we are all first-generation Americans. I’m actually the only one of my sisters who immigrated to the United States. My four younger sisters were born here. Both of my parents are Spanish speakers, so it was always Spanish in the home and English at school. I was often the one experiencing things for the first time for my parents, who were trying to figure out the education system in the United States, and L.A. specifically. And so my mother was very good at ensuring that we didn’t watch a lot of television. I was only allowed 30 minutes a day. She was very specific about the cartoon I wanted to watch coming home from school. But even though we did not have a lot of money, she always made a small budget so she could buy me those books from Scholastic. It was like a little magazine catalogue the kids would take home from school. Some of the books were a quarter, some of the books were a dollar. So she always let me buy books and I would get excited to buy a book. My parents and my mother specifically ingrained in me the importance of education very, very early. And so she would read to us, my grandmother would read to us. And because I was the oldest, I read to my younger sisters. And so education was always a big part of my life. We spent a lot of time together reading. Q. What kind of books did you like? A. When I was in second or third grade, I started getting into the Goosebumps series. Then in fifth grade is when I got into The Baby-Sitters Club. So by the time my sisters could read, I had a collection of books. I remember specifically when I was in fourth grade; I was learning my times tables. I was learning the 12’s. I had gotten past the 10’s. I remember there was a book I wanted to buy from the Scholastic catalogue. It was all the Disney stories. And it was $16. It was the most expensive book. And my mom said, “If you learn your 12’s, I will get you the book.” So she quizzed me and I was able to learn my times tables and she bought me the book. And that book became a staple in my house because all my sisters read it. So that’s my foundation for my love of reading and love of education. Looking back, I realize how family time and reading and engaging is important to young kids. If my mom hadn’t done that with me and I had spent all my time in front of a television, would I have learned my times tables? Would I have been able to teach that to my sisters? Q. I understand that your mother went through the Mexican American Opportunity Foundation (MAOF) program to become a child care provider and later a teacher’s aide. Is that correct? A. My mother went through the MAOF program to become a child care provider and she was going to set up her own space and decided to actually go into teaching instead. It’s pricey or expensive to try to set up your own center at home and at the time she decided she really wanted to work with kids, and so she used that same certification and child development credits to apply and be a teacher’s assistant at an elementary school. Q. How did your mom’s experiences shape you? A. My mother’s journey has shaped my moral compass. My mother is a professional. She has a bachelor’s degree in public relations from El Salvador. She lost everything during the war, so she came to the United States as a refugee and wasn’t able to practice because licenses don’t transfer from El Salvador to the U.S. And so when I was a young girl, she worked as a nanny. When I was in high school in the late ‘90s, she was able to obtain her GED. She started taking child development classes at East Los Angeles College, where she learned about MAOF and took courses. When she became a teacher’s assistant, we were sitting at her kitchen table. She was very emotional. She cried a little bit, but they were tears of joy. She said, “You know, mija, I went from being Nanny Rosie to Teacher Rosie.” And that has always stuck with me, because she has gone through so much to be able to have opportunities she didn’t think she would have in a new country and learn the language, become a citizen and start over. Q. During the first year in the Assembly, you have taken on an early role as a champion for children. For example, in your district, you are committed to the cleanup of the Exide plant and safe, healthy communities. And you’ve also supported funding for L.A. State Historic Park. Why are these two issues — safe, healthy communities and parks — important for young children in your district? A. I can tell you this: both my parents are working class. They were able to afford the American dream of home ownership in East L.A. in Boyle Heights. But that also meant that they didn’t have a lot of money. So as a family with five kids, how we would have fun is my parents would take us to all the different parks. So I’m actually sitting in my office right now in Echo Park and my view is that of Echo Park lake. This is where my parents fell in love. Where they took strolls around the lake while they were dating and this is where they would bring us when we were little kids. Echo Park was one of the parks as well as Hollenbeck in Boyle Heights, Lincoln Park in Lincoln Heights, Hazard Park, City Terrace Park. Most of the parks within my district and some outside I know personally and I know these neighborhoods personally because this is how we would spend time as a family. Parks are very important. Open space is very important. Healthy and safe communities are important because I grew up on the Eastside. To think that we had one of the biggest environmental contamination disasters in the state that is still not cleaned up, that still doesn’t have the attention that Porter Ranch did because it is from a very different community — that’s something that is wrong. This is what it means to be a representative from the community you grew up in: that you know these communities personally, that there is intention behind wanting to make sure that kids and families have safe, open space. That they are able to breathe clean air. Because I grew up here. And I know it. I’ve lived it. I want to make sure that other little Wendys are growing up in safe, clean communities and have the support and love of their parents and know that there is somebody fighting for them, whether they know me or not. Because I’m just like them. Q. Do you have any specific goals legislatively for your district or statewide in the area of helping young children and their families? A. I have a very specific goal in mind for next year, and that is hoping to build a solid and strong relationship with our governor and hopefully that’s Gavin Newsom so that he understands and knows the 51st Assembly District. That he knows the Eastside as well as I know the Eastside. So that he’s not simply going to talk about helping Latino and immigrant families, but that he’s going to know them. That he’s going to be a friend and a champion to them. Q. In September, you toured a MAOF child care facility in East L.A. and met with a number of early care and education providers. What stuck with you from that experience? A. What I think about most at the end of the day is the bottom line and how do we increase funding. The truth of the matter is that the majority of children across the state, and obviously within our city, are Latino. They’re children of color. They are immigrant parents, working class families and the majority of kids look like me. And if we are going to think about how we solve the issue of we don’t have enough doctors or enough engineers or enough teachers or enough nurses across our state and what are we doing to ensure that the population of California can grow up and thrive and be able to achieve. So this is long-term planning to ensure how we are funding the next generation of Californians who are predominately children of color to make sure we at the State are creating the next workforce. I stay up late at night thinking about how we gain the political courage to be able to fund what we need to fund and to ensure that we are investing early when it matters most. Q. What’s the greatest compliment your mom has given you?